Since our successful pitch, Melli have helped the California Prune Board to go from strength to strength. Supporting their communications with filming, design of literature, and photography is just one facet of the services we offer; perhaps the most significant work we have delivered for the California Prune Board is in the design, artwork, management, production and installation of indoor and outdoor events. In 2013, we worked with California Prune Board at a number of Foodie Festivals, at Jamie Oliver’s Big Feastival and the BBC Good Food Show. 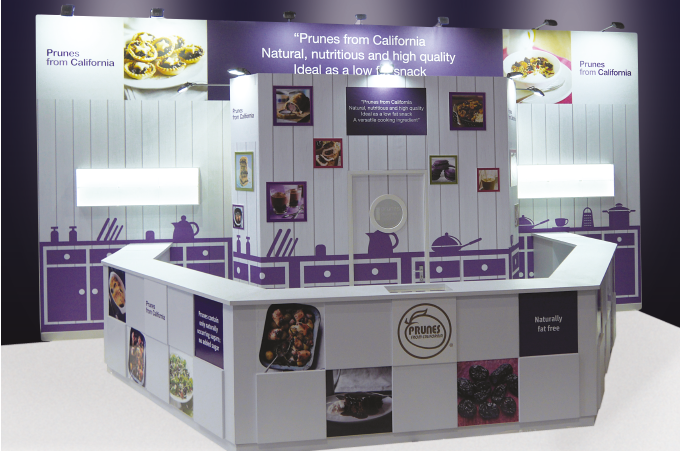 In 2014 we have taken the stand to Cake and Bake in Manchester, with the stand attracting thousands of people wanting to learn more about the versatility of prunes.